Our computer repair specialists are ready to come to you and solve all your technology problems. From laptop repair to router setup, slow NBN or your computer not starting – if it has buttons, we have you covered. No Call-out Charge for Sutherland Shire including: Kirrawee, Miranda, Sutherland, Sylvania, Gymea, Caringbah, Cronulla, Taren Point, Jannali, Grays Point, Burraneer, Engadine, Heathcote, Menai and any other suburb within our Primary Service Area. Desktops, laptops, servers, repairs, upgrades, purchase advice, new installs and more. New email setup, domain registration, Gmail migration, spam filtering and more. Which side of the digital divide is your suburb on? Find out in the NBN Lottery – Sutherland Shire Winners and Losers. Our Sutherland Shire computer repair service aims to bring the very best tech support to our fellow Sydney based neighbours. Check out some of the reasons why the Shire is calling TechSolvers to solve their tech problems. You don’t need to pull out any cables or pack your equipment into a car. Let us come to you! We promise you no surprises (except for good ones). We talk to you in everyday English and keep the tech talk to the techies. Call us before 12pm and we’ll visit same day (subject to availability). Our specialists can show you how to save money on your internet, mobile and every day expenses. 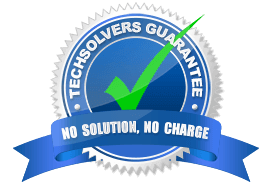 We guarantee you solutions or there’s no charge. Here’s a sample of reviews left by some of our Sutherland Shire customers. You can find more on our Google and Facebook pages. Highly recommend Steve! He’s prompt with response, fixes the problem & then follows up, such amazing service. Just book Steve forget the rest!! I would thoroughly recommend Steve Thomas as the most efficient Computer Repair Specialist who recently restored my computer to its original capabilities. Steve turned up on time, solved our computer problems, organised a data cabler to install cables to fix our wifi issues. Very good and professional to deal with. Can’t speak highly enough of Steve Thomas from TechSolvers. l would highly recommend him to everyone who needs an IT expert. Steve is excellent value…total expert in what he does, polite, courteous and does everything above and beyond what one asks for. Solved my problem quickly and efficiently where others failed. $15 surcharge applies for visits outside of Sutherland Shire & St George. Postcode & Suburb Type 2 characters and select your postcode/suburb from the list. You will need to call on 02-8502-8954 if you cannot find your postcode/suburb combination in our list. For more details on which areas we service, please see our Service Area. Payment for Remote Support must be settled before your scheduled support slot. Payment is collected once your problem has been solved. You can call us 7 days a week from 8am to 6pm on 02 8502 8954 or you can request a booking online. Alternatively, you can send us a question below and we'll get back to you asap. Leave us your name and number and we'll get back to you asap.